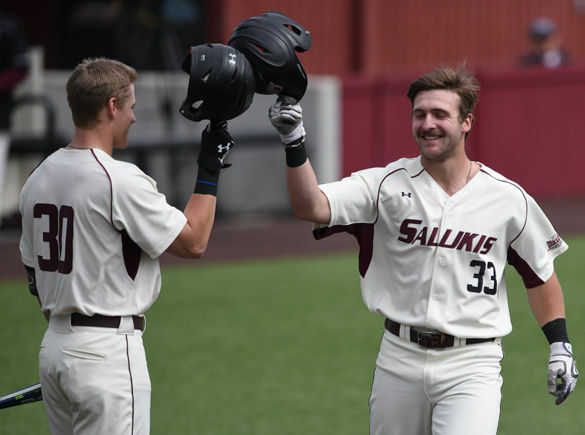 Then-sophomore infielder Hunter Anderson celebrates his home run with then-sophomore catcher Nick Hutchins in the second inning of SIU’s 2-2 tie with St. John’s on – March 13, 2016, at Itchy Jones Stadium. Anderson had one run, one hit and one RBI in the game. 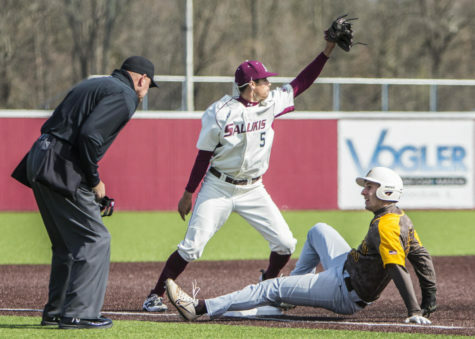 The SIU baseball team made the final stop of an 8-game road trip to begin the 2017 season at Belmont. Junior starting pitcher Allen Montgomery looked to get his season going in the right direction with this start against Belmont after a rough first outing of the season against Austin Peay that totaled eight hits, two walks and five earned runs through 2 ⅔ innings of work. 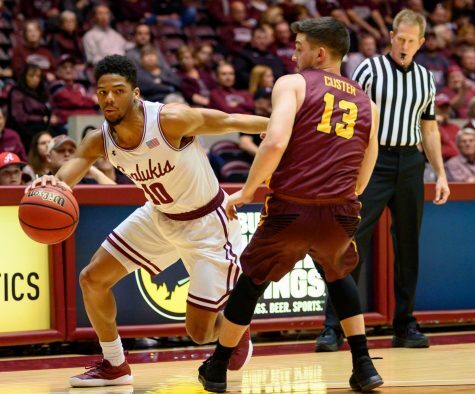 Montgomery began strong, forcing three straight groundouts from Belmont’s top of the order to work through a quick bottom half of the first inning. Things didn’t go as well in the bottom of the second inning for Montgomery. 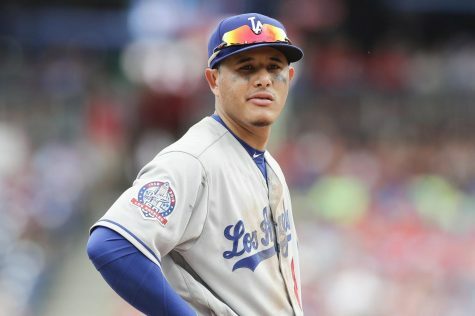 It issued four walks and threw one wild pitch while giving up three hits and four total runs. Montgomery would not make it out of the bottom of the second inning, being pulled after battling through 1 ⅔ total innings. 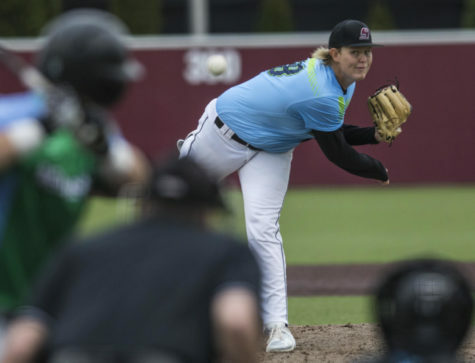 In all, SIU sent out seven pitchers against Belmont, issuing twelve walks and one hit by pitch along with fourteen total hits. Despite being down early in the game, the Salukis stayed strong and did their best to pull this one out by having a great day at the plate. 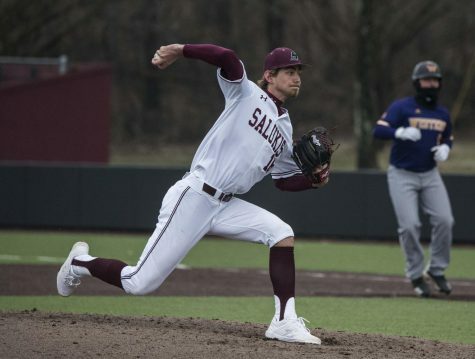 The Saluki offense accounted for eight total walks and three hit by pitches, to go with a new season-high fourteen hits and new season-low of five strikeouts. 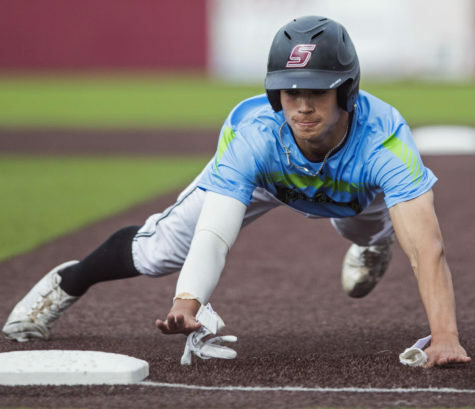 Five of the fourteen Saluki hits were home runs, with junior DH Hunter Anderson, senior third baseman Ryan Sabo, senior shortstop Will Farmer, junior left fielder Greg Lambert and junior first baseman Logan Blackfan each clearing the fence. 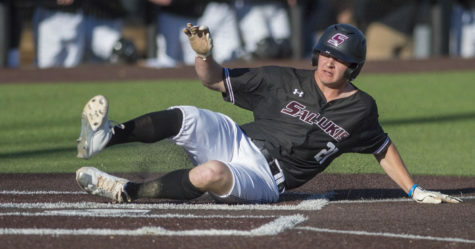 SIU scored in each of the last seven innings of the game after going scoreless in the first two. 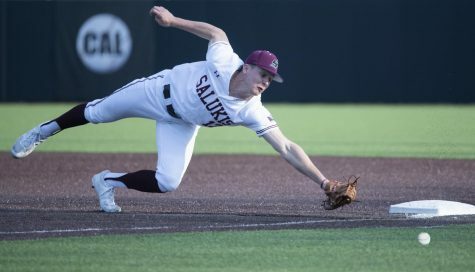 Yet the Salukis would fall one run short of tying the game in the top of the ninth inning, stranding senior center fielder Dyllin Mucha at second base. 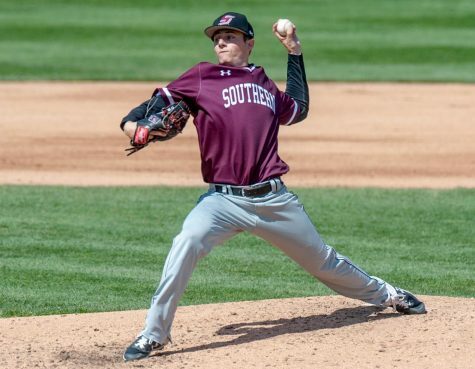 SIU (4-4) continues the season with a home-opener three-game series against Western Illinois at Itchy Jones Stadium beginning on Friday, March 3 at 2 p.m.